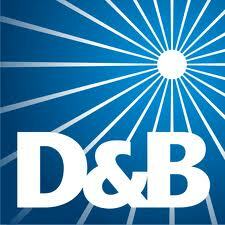 Dun & Bradstreet is a large corporation collects quality data on all businesses and bottom line they keep track of the businesses' credit score and how financially healthy each company is so they can borrow and grow. They specialize in Business Credit Solutions, Sales and Marketing and Supply Management Solutions. Because they deal in "big data" many of their positions can be done anywhere, so this company is a good place to look for work-at-home jobs. At this time there is only one job in that category. But keep checking. Many new bloggers ask me, where I get my ideas for blog posts. It makes me scratch my head, because I seem to find blog post ideas everywhere. I'm bombarded with blog post ideas every single day and I can't write them down quickly enough. For instance, I have a friend that calls me and talks and talks and talks. We could be on the phone for two to three hours at a time. One time we were on the phone eight hours -- man, that's like . . . work! No, she's not being obnoxious or needy. And no, our conversations are not solving world hunger or the Middle East Crisis. But get this, she calls me to flesh out her thoughts. She's starting a business and she really needs someone to throw out ideas and then carefully, thoroughly flesh out the details before taking action. I understand, though I don't like to be on the phone that long, I understand. Yeah, yeah, I hear you say: That's crazy, that's a huge waste of time. But really, it's not -- or maybe, I've made sure it's not a waste of time. In my point of view, no conversation is a waste of time -- if you are a writer. You see, those long conversations I have with my friend cover a wide range of topics. While she is mulling over situations, problems and obstacles. I'm finding solutions, insights and processes that held her and can possibly help all of you, my lovely Telecommuting Millionaire? readers. As a writer, I've learn to jot all this stuff down. No. Not my friend's problems or details of her life, but the THEMES and IDEAS and SOLUTIONS . . . INSIGHTS and PLANS that we cover within the conversation. These long talking sessions can be organized into very helpful and insightful pieces that could be published in a blog, or in a magazine article, or an op-ed piece. So, don't let phone conversations just dissipate into the air. Don't hang up the phone and simply move on to something else. While you are on the phone, jot down ideas and insights that come to you through conversation. Those ideas could just be your ticket to a more lucrative writing career! I know you've heard this one before . . . "Never settle for anything but your best." Sounds like good advice right? But, when I sat down and really thought about what this means for me, I realized that this principle is the very thing that is holding me back - because it tends to make me procrastinate in a big way. I find that the idea of perfection or even the idea of my type of perfection, paralyzes me. There have been so many projects that I have half-completed or haven't even started because I feel I can't devote the energy or the time to make it perfect or at least my best. Therefore, I usually get nothing done. 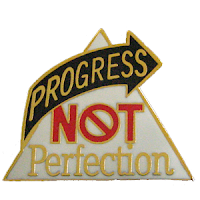 While others that don't have that debilitating practice of perfection, are producing products, gaining experience, learning their craft, and getting nicely compensated for it. I mean seriously, if you think about placing this advice in any other context -- it would hurt you. Say I come home, tired from a long day's work, needing to quickly eat something before I must arise in a mere few hours to get back to work. In my refrigerator is a frozen steak and a left-over hamburger. Clearly, steak is the best within my refrigerator, but it would mean I'd have to thaw out the meat, prepare and season it and then cook it. Which I don't have time to do. Whereas the hamburger is ready to be heated up and eaten within minutes. If I followed the advise above, I would go to bed hungry because the steak is my best and I shouldn't settle for anything less, right? This scenario applies to life as well, sometimes, you have to give up your "best" and just get the job done. When I embrace this principle, I tend to get the job completed and achieve more, because sometimes my best is not what the client, employer or customer needs. Sometimes, getting the job done is much more important. Okay people, we all know and hopefully you realize from the above video that you are not going to get rich collecting aluminum cans. However, if you have a specific monetary goal to reach, then this is a good method to make a little money. Do you need to make $600 for an inexpensive laptop or do you need $200 to pay for your business license to start your company? This is a great way to save up and earn quick and easy extra money without a lot of hassle. And guess what? The money you earn is tax free! Okay, so you've decided to try to make extra money collecting aluminum cans, plastic bottles and such . . . here is how to do it, follow theses easy steps and you should be making extra money by the end of the month. 1. Find your buyer . . .
Find out where your nearest local recyclers & scrap metal dealers are. You should find at least three near you. Why? Because you are going to do this smart. You are going to go to the dealer that is paying the most for your finds. So it's best to have a list of dealers and call them before you turning in your find so you can get the most for your effort. 2. Find out your value . . . Call the recycling centers and find out how much they are paying for a pound of aluminum cans or a pound of plastic bottles. Also, while you are at it, find out what their requirements are for submitting your materials.. Some centers what them crushed. Some centers don't want to deal with garbage bags, some don't care. It's best to find out how they want the materials - saves you time. 3. Have a clean, neat storage system for your finds . . .
Find or purchase containers to store your finds! Aluminum cans can attract pests, so storing them in huge garbage bags is one way to keep thing neat and clean and deter the little buggers. Crushed aluminum cans are hazardous and can cut you, so storing them in large plastic containers like large garbage cans are best. If you can find large containers with lids -- jackpot! -- you have pest control and you keeping your storage area very neat. Win-win. 4. Carrying your finds . . .
Have a backpack, or some type of carrying bag to carry your aluminum can finds. What I find useful is a large backpack or carrying bag with several compartments. (you'll understand in a minute). I also love carrying bags that have some type of lining that helps contain liquid. 5. Picking up the cans . . . Very long tongs or a trash picking stick is essential. It will help you reach hard to get places in the bushes or dumpsters. And you don't have to bend to pick up cans and plastic if they are very long. Having the mufti-compartments in your carrying bag allows you to carry your "trash search tools". 6. Staying clean and healthy . . .
Sanitary wipes and a small first aid kit are essentials. Gloves are a really good idea as well. I like plastic surgical gloves, but gardening gloves and even diswashing gloves work well too. It takes about 35 cans to make a pound of aluminum. Recycling centers generally pay you by the pound. A lot of people have a hard time crushing all the cans. Most people crush each can as they pick them up. But here's an idea: I've been known to put cans in my drive way and run over them or have the kids ride over them with their bikes, scooters and tricycles. You are cleaning up your environment and helping your wallet at the same time. Though you can do this from your car or truck, if you decide to walk and pick up cans, you are getting a good work out and bettering your health. Recycling one (1) aluminum can saves enough energy to power a 60 watt CFL light bulb for 20 hours? Cans can be recycled over and over again and 95% less energy to recycle aluminum than it is to MINE for the materials to make one can? So, give me some insight people! Have you ever collected aluminum cans, plastic bottles and glass to earn money? How much did you make? Do you have any tips that can make this job easier/better? ---------------- You can make this blog better. Tell me what types of topics you want me to focus on. I'll be happy to write about things that actually help and entertain you. Share this article with friends, click on the social media icons below. Money is everywhere! Over 50 ways to make quick, extra income. But that’s the great thing about 2013, you don’t have to take a traditional moonlighting job or make a huge financial commitment like starting a business to make extra money to achieve your goals. There are so many ways to make money these days, especially if you have access to a computer or a tablet and WIFI service. In fact, there are many ways to make extra income and all you need is time, patience and a willingness to make a few changes in your life. The key to financial independence is to develop a plan that will gain your independence. You realize already that the things you are doing are not working for you. You have a full-time job, but you are barely making ends meet. Or you have several part-time jobs but no benefits for you and your family. Or you’ve been looking for a job and the economy is just not working for you. Or you are in a black hole of debt with seeming no foot-holds to get you out of that dark hole and it feels like you are going to be a slave to it forever. These common financial situations or a combination of them often causes one to fall into a state of hopelessness and helplessness – but there is a way out. I know that when you are mired in such situations it looks like money is scarce but may I venture to say . . . money is plentiful and it is all around you. You just have tap into it and take the correct steps to change your life and your life’s circumstances. Make extra money to fund the items on your wish list. The key to success is to make extra money with a goal in mind. This is very important -- otherwise you become like me, caught in a hamster-wheel of life, where situations keep draining any extra or new money you earn. Simply put, if you don’t have a clear, concrete idea of what you are working toward anything that comes up will set you back. Example: I want to open a social media consulting business, where I will help small businesses and organizations in my community develop and expose their brand to a wide audience. Ultimately, I would like to expand this company to not only allow me to freely do what I love, but expand the business to hire other love social media professionals. What resources do I need to begin my business? Great, now I know what I want to do and what I need to begin – but the big problem is: I don’t have any funds, equipment or resources to open this business. I have exactly $0.00 to put toward my goal. So how do I raise funds for this? Well, I am in luck because if I just open my eyes and look around. Money is everywhere! And there are many opportunities out there that will help me make extra income. If I get to work, within a matter of a few months, I will be able to quickly make the money I need to purchase a laptop, afford my WIFI, pay my business fees and get me started. 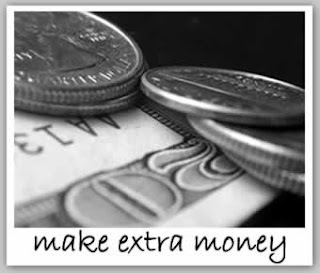 What are these quick and easy ways to make extra income? Well, I have a list of 50 plus ways to do this. Here are some ways and ideas to begin to make money now. Over the next few weeks, I’ll be e x p a n d i n g on each of these methods of extra income, describing in-depth each method and outlining how to successfully do these extra money- makers so that you can reach your goal, whether it is starting a business, getting out of debt, or creating an emergency fund. (1) Have you tried to make extra money doing any of the above suggestions? (2) How successful where you? (3) Do you have any other “making extra money” ideas that I did not think of? How about I make YOU rich!